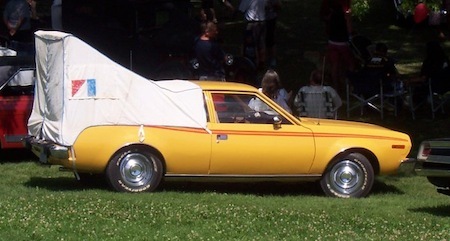 When I was a kid, my parents owned an AMC Hornet. We drove that thing from Salt Lake City to Millwaukee and back so many times and it never let us down. I had no idea that AMC made a camping tent to attach to the hatchback. Here is a promotional photo from the Seventies. 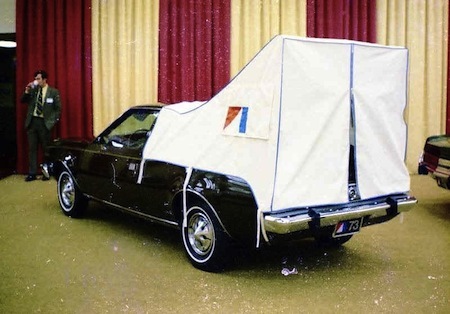 Instead of having me search for the nearest Holiday Inn when we were tired and it was time to sleep, we could have slept in the car with this sweet tent. Even as I say that, I realize that my mom would have never even considered that an option. It was Holiday Inn or nothing. Still, I can imagine what our travels to Wisconsin might have looked like if we had camped instead of stayed in hotels. 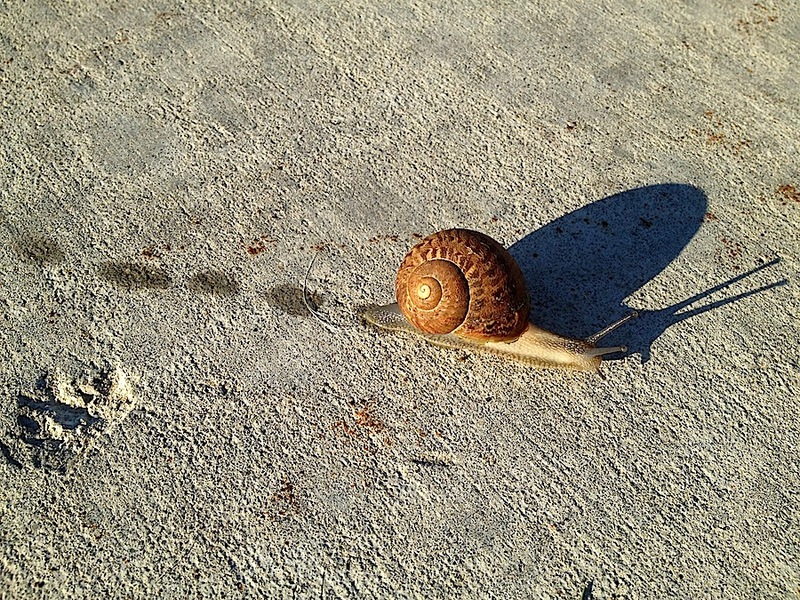 I didn’t camp until I was in my thirties with my husband. I wonder how my life would have been different if I had camped as a child. Would I have hated it? Would I have adored it and wished to camp even more than now? Seeing these photos of Hornets with tents attached to them give me a glimpse into that other life I could have lead. If this looks like a cool thing that you would like, there is something available for SUV hatchbacks that is very similar. 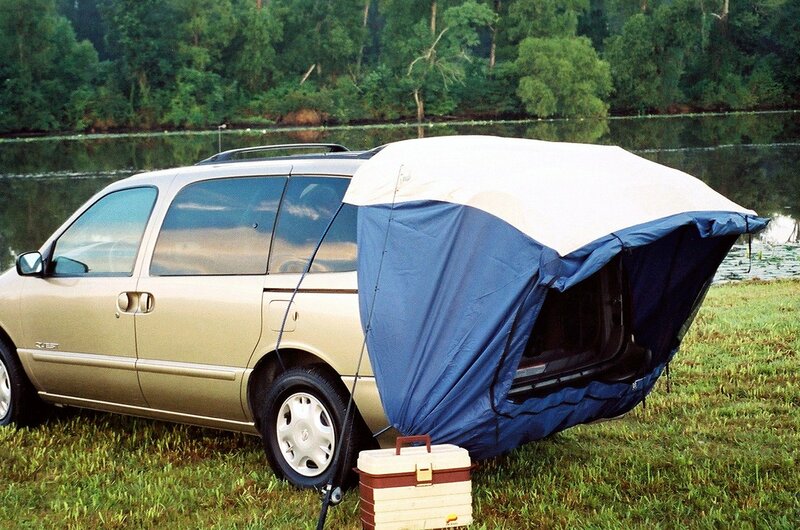 It’s called the Explorer 2 SUV Tent. If you are regretting not camping more, here is an easy tent that turns your SUV into a Tent. I may not be able to go back in time and change the adventures my family had when I was a child, but I certainly can change the adventures I have in the future. 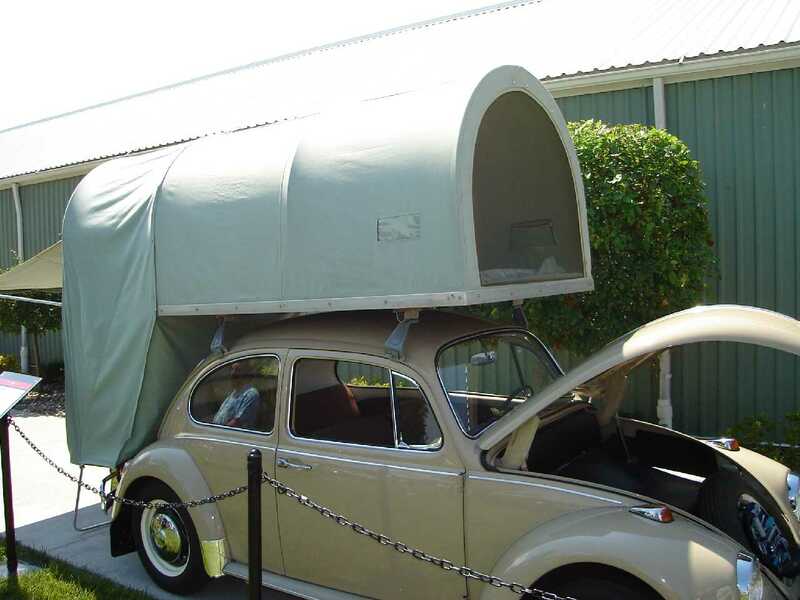 I love this photo of a camper and tent from the 1930s. I just realized that we are a mere sixteen years away from 2030 and only six slim years from the 2020s. It seems crazy to me because the phrase The Twenties refers to the 1920s in my mind, but suddenly, we are on the cusp of a different Twenties. And as strange as that sounds, humans have been living in tents for THOUSANDS of years. Sure the animal hides were replaced by canvas and then replaced by lightweight nylon, but the basic shelter of the tent has been around for longer than the memory of man. It’s awe inspiring to me and it answers that question I keep asking, “Why does it feel so good to go camping?” Because it is hardwired into my cavewoman brain. 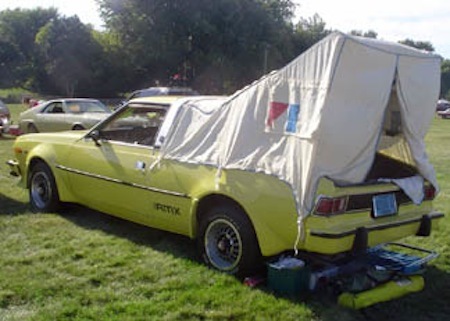 One a side note: my bed end canvas never sees rain, I tarp the whole camper length wise and tether the ends down to the bumper and tongue. Seems that are canvas to vinyl leak no mater what and the ends pool. Still trying to engineer a better solution. I was just going to email Christine and tell her about waterproofing options, but then I realized that other people might want to know about this. Most tents and tent trailers have treated canvas or nylon to keep out water. Unfortunately, these treatments don’t last forever and need to be redone every few years, especially along the seams. There are lots of products on the market that can be used. You need to treat the tent outside and make sure you don’t inhale the fumes. Here is a video from one of the manufacturers about how to treat fabrics. It helps to give the tent plenty of time to dry, so make sure you can leave your tent out and deployed for six hours or so. Mike and I found out the hard way that our tent trailer was in desperate need of waterproofing in a huge storm last August. We haven’t camped in another storm since, but we are eager to see how the waterproofing will hold. I first saw a Jumping Jack Trailer at Sportsman’s Warehouse. I never really saw the benefit of it because I don’t need to haul four wheelers or any other toys. When I saw it at Sand Hollow State Park a couple of weeks ago, however, I was surprised at how good it looked. I spotted it from a half-mile away and it looked so good silhouetted against the red earth of Southern Utah. I could tell that the owners had hauled a four-wheeler with it. 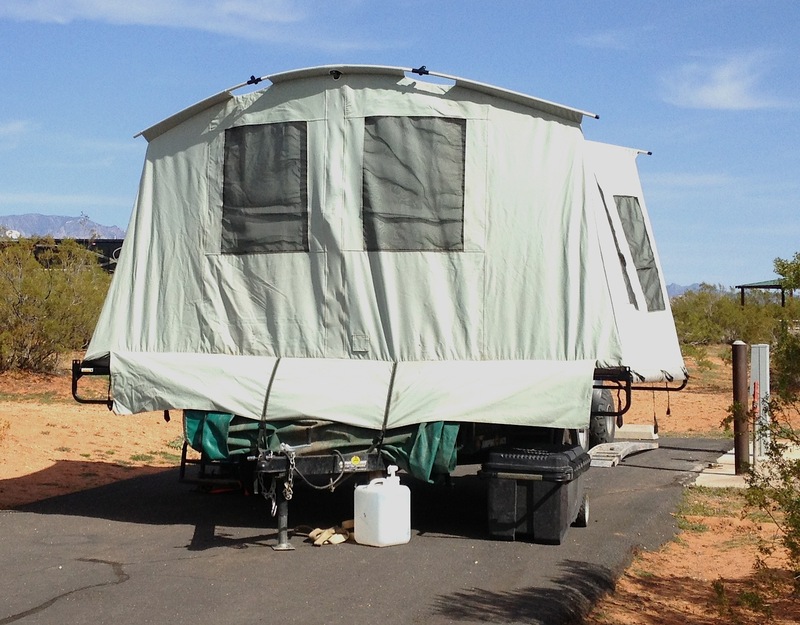 I used to wonder why anyone would want a tent trailer because I couldn’t see the benefit of it over just a plain old tent that I could stuff into my car, but the benefit at Sand Hollow is clear. 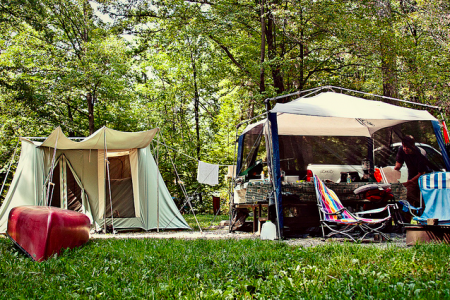 Tents aren’t welcome at that particular campsite and there are no tent pads where you can pitch a tent. 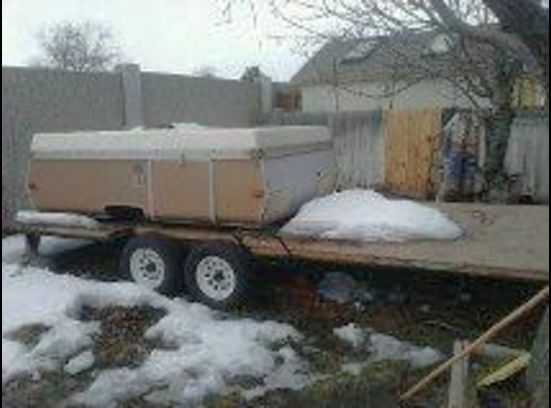 A trailer is the only way to stay there. 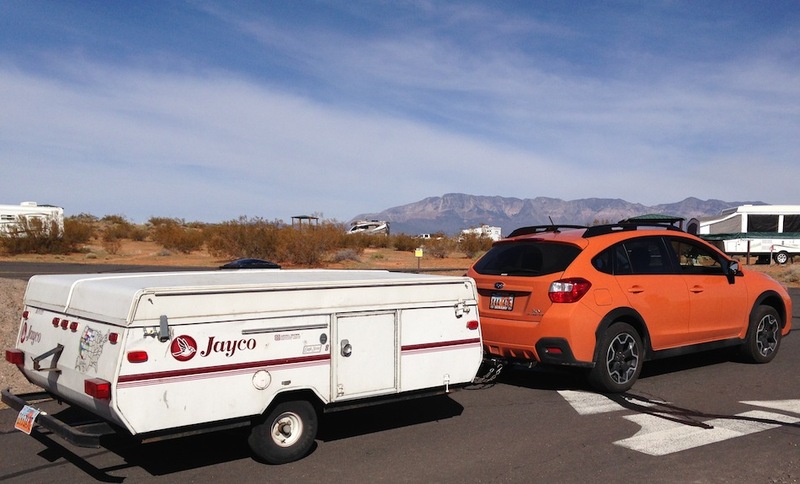 I found two others for less than $4000, so toy haulers are pretty rare, but there are other options than the Jumping Jack. It was interesting to see it in the wild, but I just don’t have a use for one. 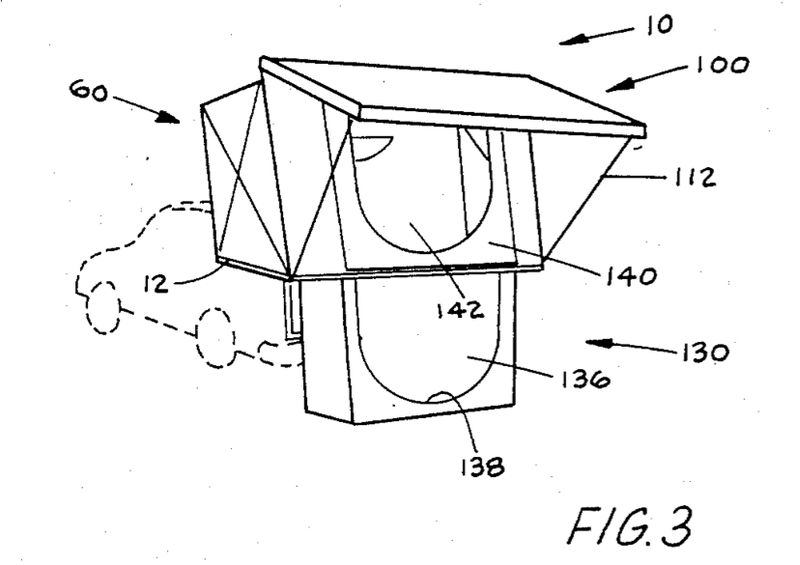 I was looking around on Google Patents When I found this car-mounted camper. 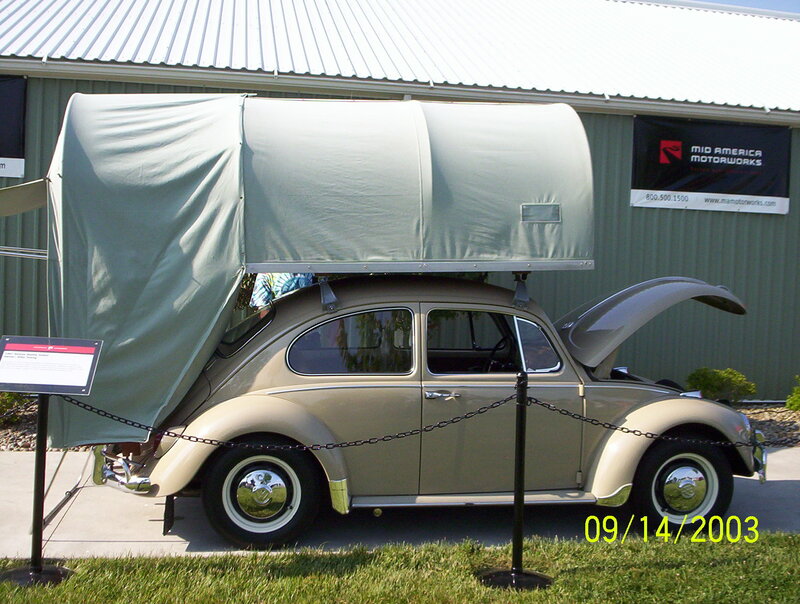 An inexpensive, lightweight camper is releasably mountable about trunk portions of an automobile without requiring the formation of holes in the automobile body. 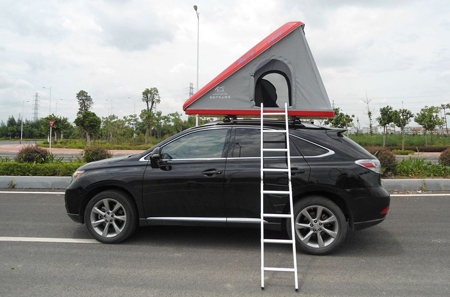 The camper has a flat floor and front, rear, top and side walls which are foldable to compactly overlie the trunk of the automobile. 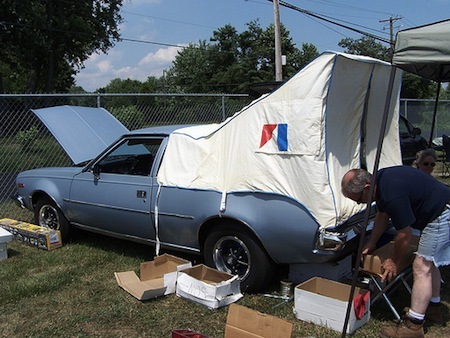 While I was looking around the web, I found some auto tents manufactured by Upal Outdoors. They make a clamshell design. They also make a square lift design. 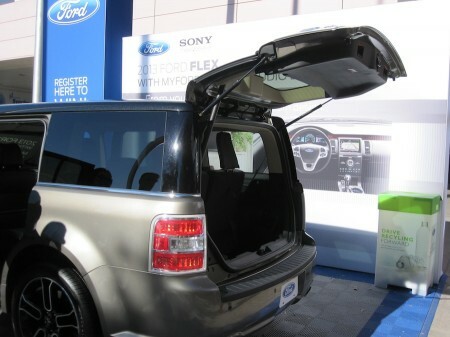 If you were to put one of these on a Ford Flex, it might be perfect. 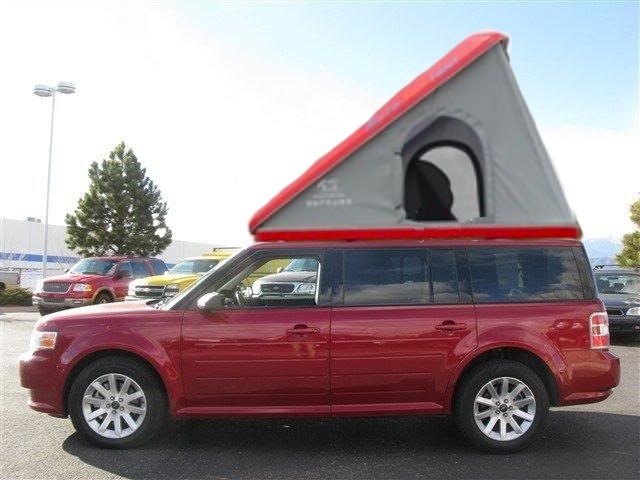 It has that lovely flat roof that makes it perfect for permanently mounting an auto tent to the top. I first saw the Ford Flex at CES 2012 and I really liked its design. I love how large the back hatch is. 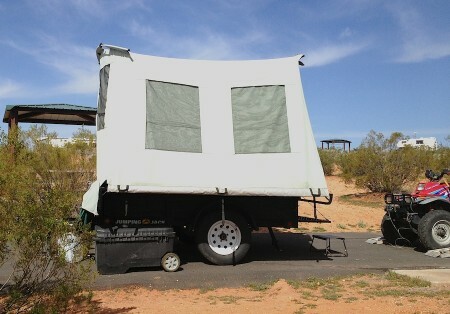 It would be perfect place to put a camp kitchen, like a teardrop trailer. 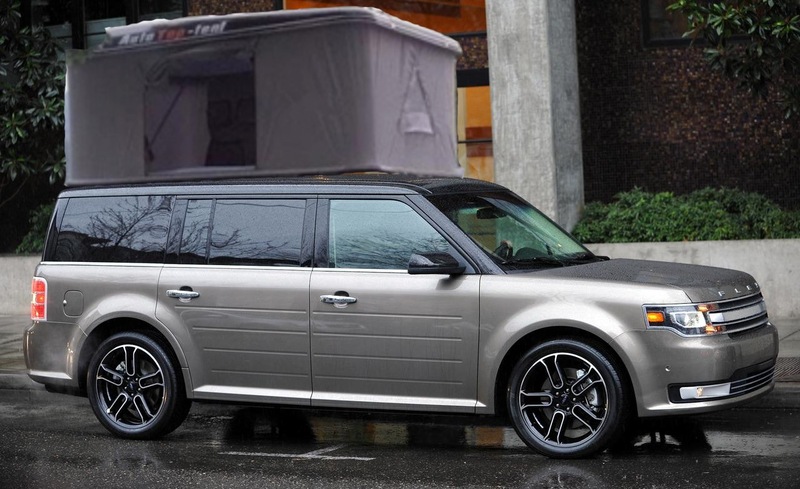 In fact the back hatch is so large and tall that I wouldn’t even need a tent to get a little shade or escape from the rain. If you were able to permanently attach the Auto Tent to the top of the car and cut a hole in it, you’d be able to access the tent from the Sun Roof instead of having to use the ladder. It would be much more efficient that way. 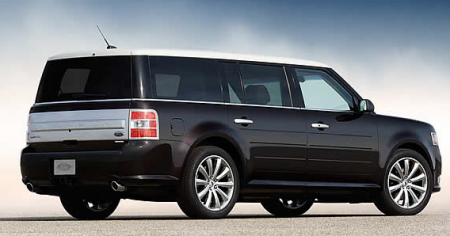 I did a horrible Photoshop job on some images of the Ford Flex to show you what it would look like permanently attached to the car. I really liked how the clamshell design looks. 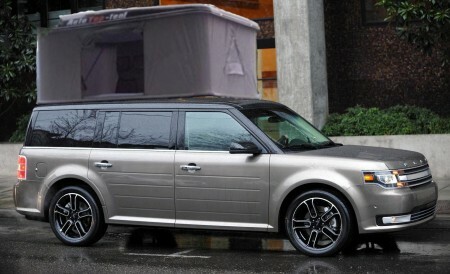 As much as I’d like to take a Ford Flex and convert it into the ultimate camping car, I can’t see a way to purchase these auto tents in lots less than twenty. 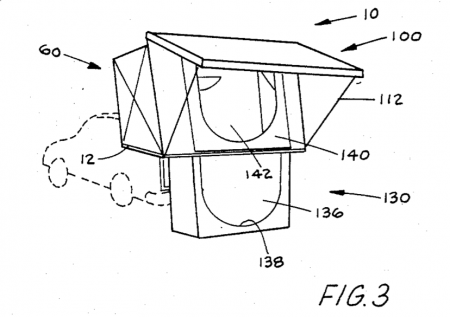 It looks like this idea is going to have to be for someone with a lot more capital at their disposal. 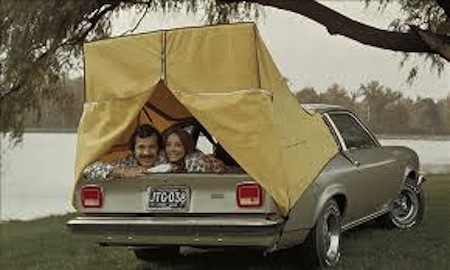 Until then, I can dream about a perfect camping car. A few days ago, when I was feverishly searching the Internet for information about The CarBak Cartop Tent Camper, I found a TON of pictures of VW Beetles with cartop tent campers. 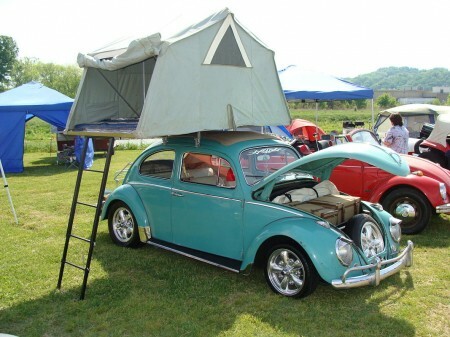 As a former Bug owner, I fell in love with each and every photo, wishing I could find a Beetle of my own to camp in. It was obviously an oddity because the picture shows a plaque next to the vehicle. How I wished I could read that plaque. What does it say and what the heck IS that thing?! 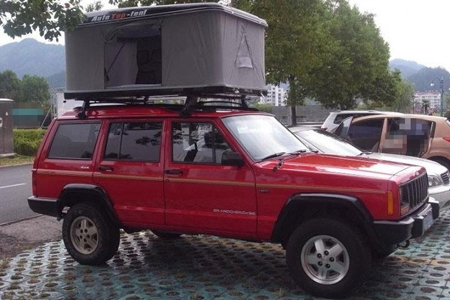 Does anyone know if these roof top tents are worth anything. I have never seen one and I think they are cool. No one had an answer for him, though.